Cabo Transfers promises a comfortable and luxurious transportation experience in our new luxury vehicles with fully licensed qualified bilingual drivers. Transportation around Los Cabos has never been so easy. Each of our vehicles are fully insured, expertly maintained, and feature quality air conditioning. If you opt for the "Concierge Service" your transfer can include a variety of beverages to keep you refreshed. Cabo airport transfers and Cabo private transportation in style! Cadillac is the definition of luxury, featuring unmatched refinement and elevated craftsmanship. Our Escalades are full-size SUV's offering extraordinary comfort and plenty of storage space. 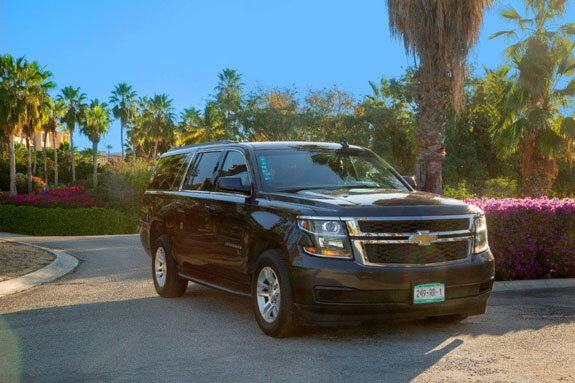 Combining luxury and comfort, the Suburban is the perfect vehicle for small groups looking for airport transfers or private transportation services around the Cabo area. 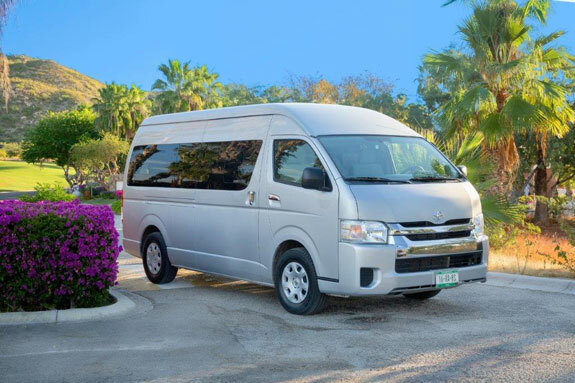 This brand new vehicle provides ample room to transport a group anywhere in Cabo. Transfers to & from the airport or events is comfortable and relaxing. Those few extra seats can make a difference. 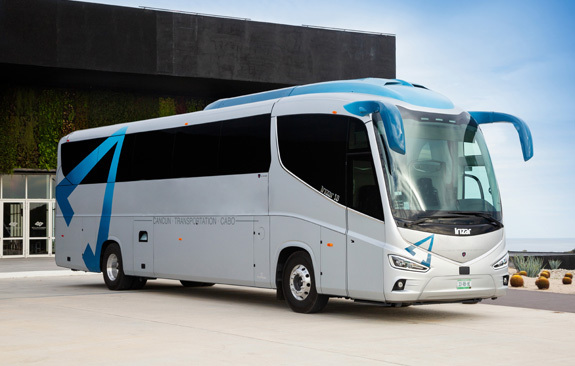 Transportation with a large group has never been so comfortable and affordable. Say goodbye to uncomfortable airport transfers. 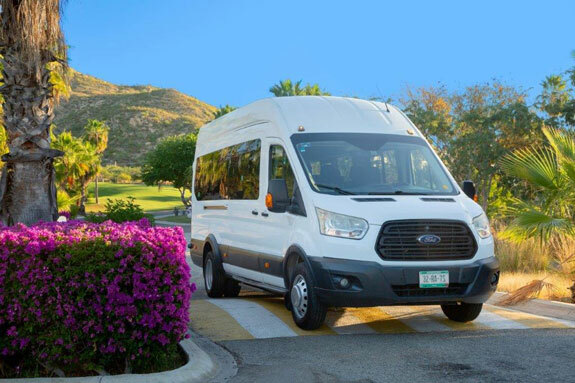 Cabo transfers features the Transit for luxurious transportation for larger groups. Everyone arriving or departing at the same time? Looking to transport a large number of people, without having to use multiple vehicles? For large groups or events, the Motor-coach provides seating for up to 45 people. 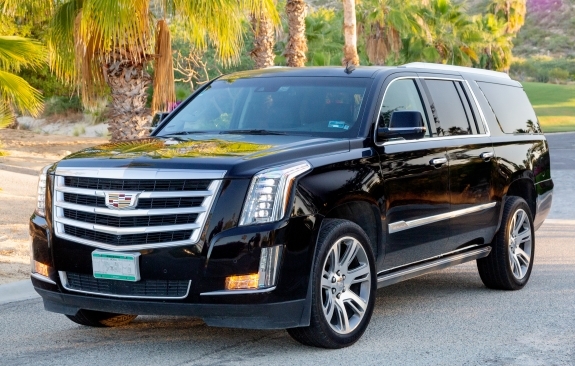 Cabo Transfers can manage the transportation requirements for any size group or event.